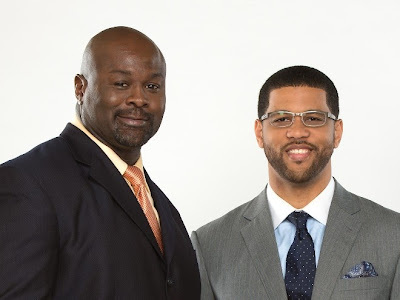 ESPN fired contributor Hugh Douglas on Tuesday, a week after he reportedly made some racially charged remarks toward his "Numbers Never Lie" cohost Michael Smith. The former Eagles lineman was let go after allegedly calling Smith "Uncle Tom" and threatening to beat him up while the two were attending the National Association of Black Journalists convention, according to Deadspin. During an after-party at the House of Blues in Orlando, Douglas drunkenly threatened to beat up Smith three times, a source who was present told The Big Lead. He also allegedly called Smith a "House N-----," the source claimed. ESPN announced last Tuesday that it was looking into the incident. Anonymous industry sources told the New York Daily News that Douglas wasn't fired for making specific remarks, but for his conduct that night in general. No one involved in that investigation that the Daily News spoke to would back up the allegations that Douglas used the N-word. Douglas hinted on Twitter that he'll be telling his side of the story in the near future.